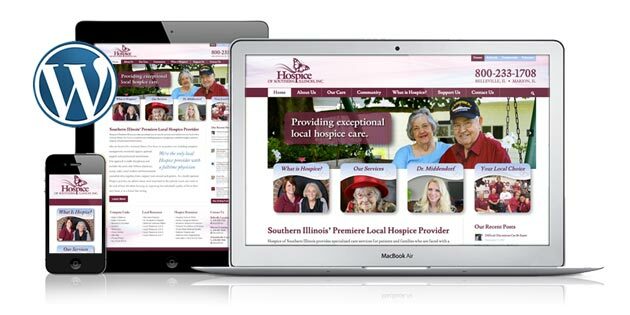 This is a new project for Hospice of Southern Illinois, the client wanted to start fresh with a new look for the website but still allow them to post updates to Facebook and other social media. 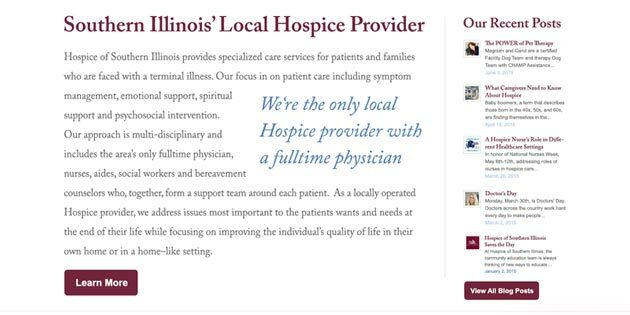 WordPress was the perfect choice, I designed this new website with a responsive theme/child theme for them that gives them a great deal of flexibility for both their current content and any future enhancements they want to incorporate. 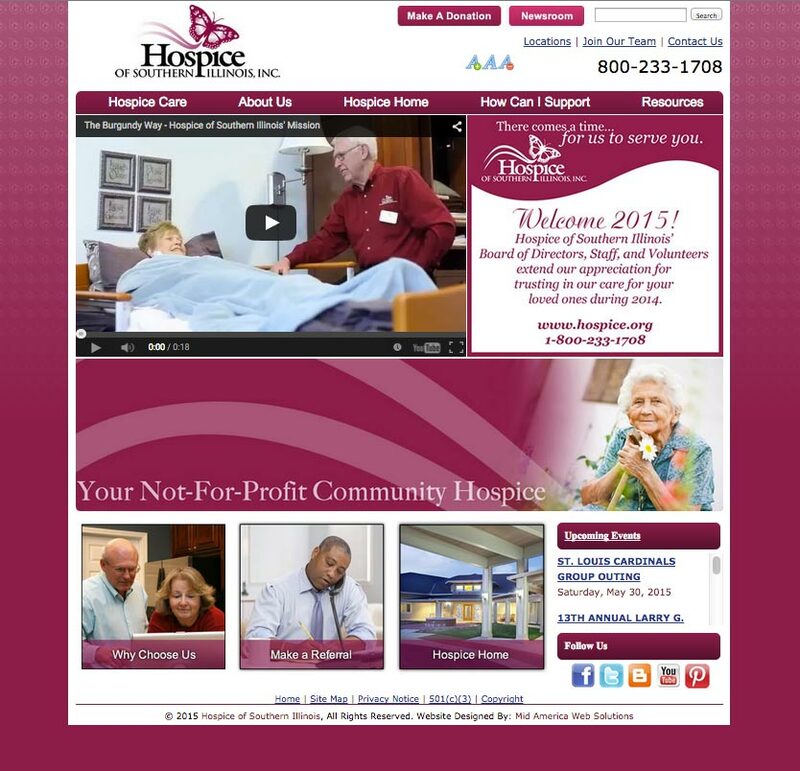 I then sat down with the marketing team and trained them on how to use their new WordPress website. 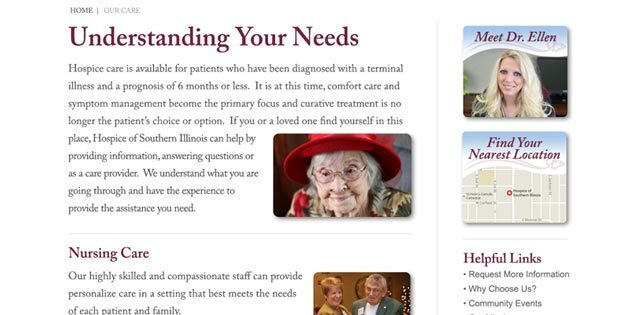 They now are able to easily add new blog posts, images, update content to their new responsive website. 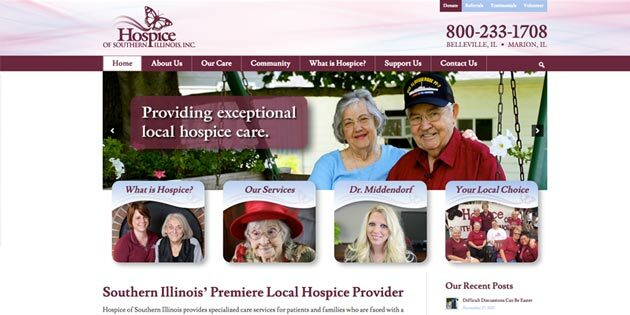 This allows them to expand and enhance their marketing campaigns to promote Hospice of Southern Illinois.